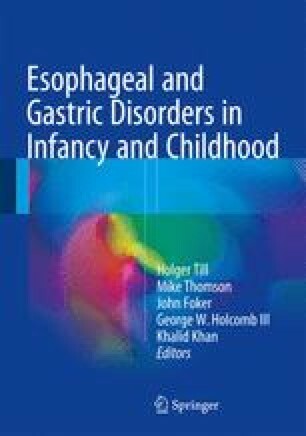 This is a review of our main contributions to the literature regarding the physiological and clinical manifestations that infants with choanal atresia share with those with esophageal atresia. The common clinical picture is characterized by inspiratory and expiratory dyspnea, oropharyngeal dysphagia, gastroesophageal reflux and/or vomiting, bradycardia, sialorrhea, hyperhidrosis, hyperthermia, apparent life-threatening event, and sudden death. The common pathogenetic mechanism appears to be a maturational dysautonomia affecting multiple target sites of vagus nerve. A possible explanation of this association is a maldevelopment of the cephalic neural crest cells, which play an important role in the embryogenesis of face, esophagus, and autonomic nervous system. Support to this concept comes from the presence in infants with choanal atresia or esophageal atresia of similar minor facial anomalies, which are considered markers of a cephalic neural crest maldevelopment. We wish to thank Prof A Schiavetti and Dr S Frediani for their help and comments in the preparation of this chapter.